iRig MIDI, Audio or MIDI interface for tablet/iDevice from IK Multimedia in the iRig series. 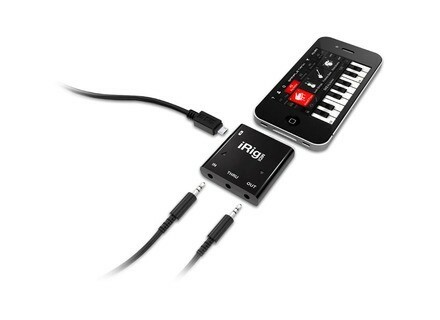 IK Multimedia is about to launch iRig MIDI, a new MIDI interface for iPhone/iPod touch/iPad shortly. iRig MIDI connects MIDI keyboards, drum machines, drum pads, pedal boards and more to an iOS device to control the included SampleTank but also MIDI-compatible apps such as GarageBand. 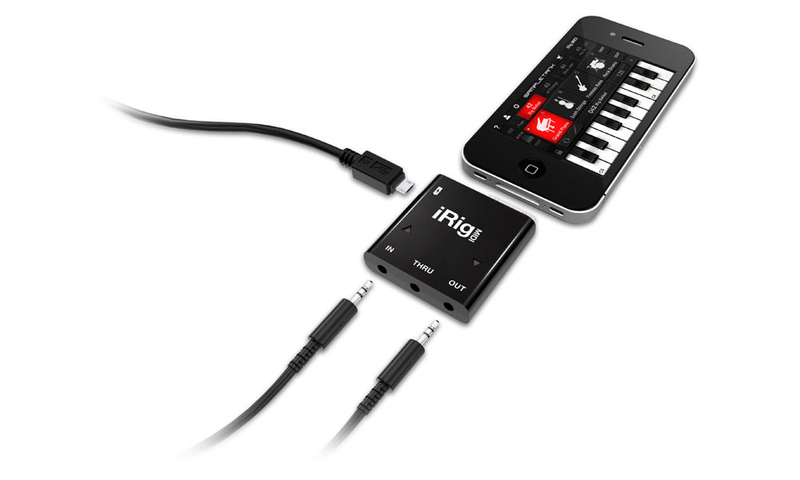 iRig MIDI will do for keyboardists/DJs what AmpliTube iRig has done for guitar/bass on the iPhone/iPad. You'll find more info at www.ikmultimedia.com/irigmidi/features. Maulabs MidiBud v2 MidiBud is a simple MIDI Transport Controller for iOS devices, providing a remote MIDI Time Code display, designed to be convenient in dark studios, and a transport panel where you can control remotely your sequencer.